Donald Trump, who has so far pardoned a racist sheriff and a neocon perjurer, has made a rare exception from his pattern of using his power to clear the names of terrible men: On Wednesday, Trump commuted the sentence of 63-year-old Alice Marie Johnson, who has served 21 years of a life sentence without parole for a first-time, nonviolent drug offense. (She was previously denied clemency by the Obama administration.) Trump, it can’t be overstated, commuted Johnson’s sentence because a celebrity told him to do it. His administration’s policies around mass incarceration and policing stand in complete opposition to basic justice or mercy. Though there are far more men incarcerated in the United States than there are women, the rate of women’s incarceration has outpaced that of men’s by double since 1980, according to The Sentencing Project. As of 2017, 219,000 women were held in prisons, jails, detention centers, and other correctional facilities across the country, 60 percent of whom were still waiting for a trial, according to a report by the Prison Policy Initiative (PPI). Roughly three-quarters of women incarcerated in the United States are serving time for non-violent offenses; Can-Do, an organization that advocates clemency for people incarcerated for nonviolent drug offenses, reports that, like Johnson, “more than a third (35%) of all drug offenders in federal prison at sentencing, had either no or minimal criminal history”—a percentage that’s higher among women incarcerated for drug offenses. According to the PPI report, 155,720 women were incarcerated for nonviolent offenses in 2017 (excluding the 9,830 women held in immigrant detention, Indian County jails, and other facilities that lack data by offense type). Of those, 45,000 were incarcerated without a trial. The rate of imprisonment of women of color is higher than white women: In 2016, according to the Sentencing Project, black women were incarcerated at twice the rate, and Hispanic women at 1.4 times the rate of white women. 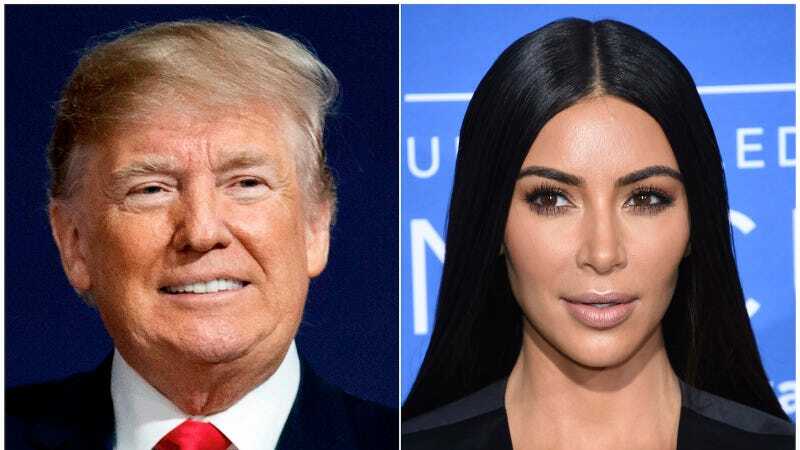 In order for more women like Johnson to receive justice under his presidency, America would need roughly 110,720 more celebrities like Kardashian to demand clemency on their behalf, according to numbers from PPI. In the meantime, Trump’s policies will leave women like Johnson at the mercy of the criminal justice system. Trump used his executive authority to free one woman, but he’s building up the walls that will trap thousands more.